This time last week I was at Julie’s with all the various dye pots still going and the steamer on. My mother had carefully dried the smallish silver dollar leaves from a bouquet I’d given her and I painstakingly picked them off their stems and put them onto various cotton and also wool fabrics, spraying some with iron water (it was Julie’s and weaker than mine), and some with a copper water/vinegar solution. I left some unsprayed except for water. 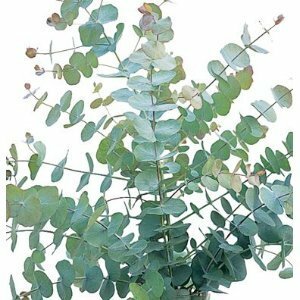 Julie had some ilyarrie (Eucalyptus erythrocorys) leaves from her father-in-law’s pruning so I used some of those too. This proved to be a family affair! Voilà! After they’d languished in Julie’s cold steamer for a week I popped around and collected them. We actually unwrapped them with chilled fingers in the cold of the early evening because Julie wanted to see them too and I didn’t want to wait until I got home to see them unwrapped either! The silver dollar leaves with ilyarrie leaves and sprayed with iron on fine wool. 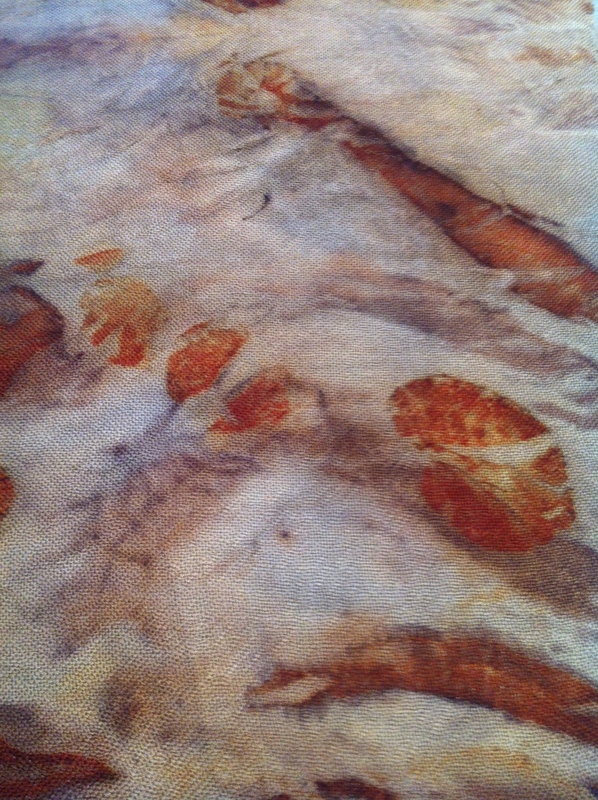 Close up image of the silver dollar and ilyarrie leaf print combination with iron on fine wool fabric. 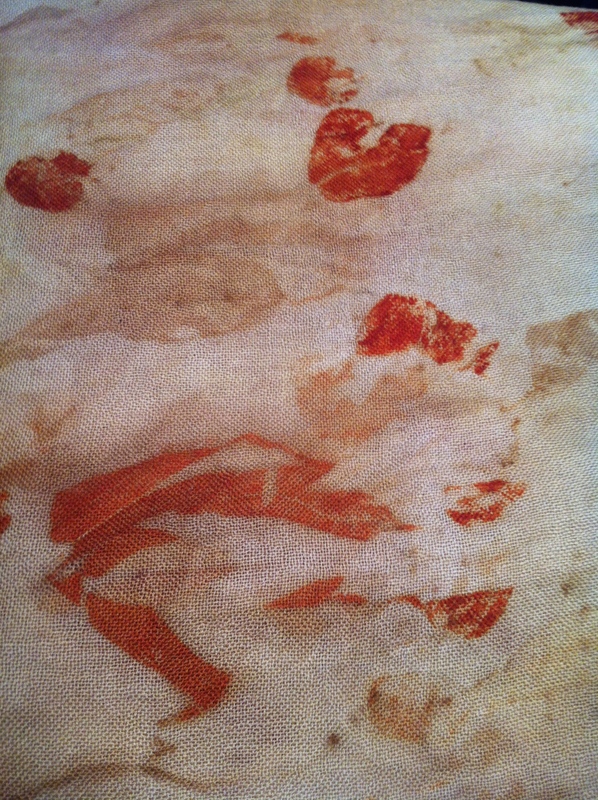 Somewhat brighter silver dollar and ilyarrie prints with copper spray on fine wool fabric. 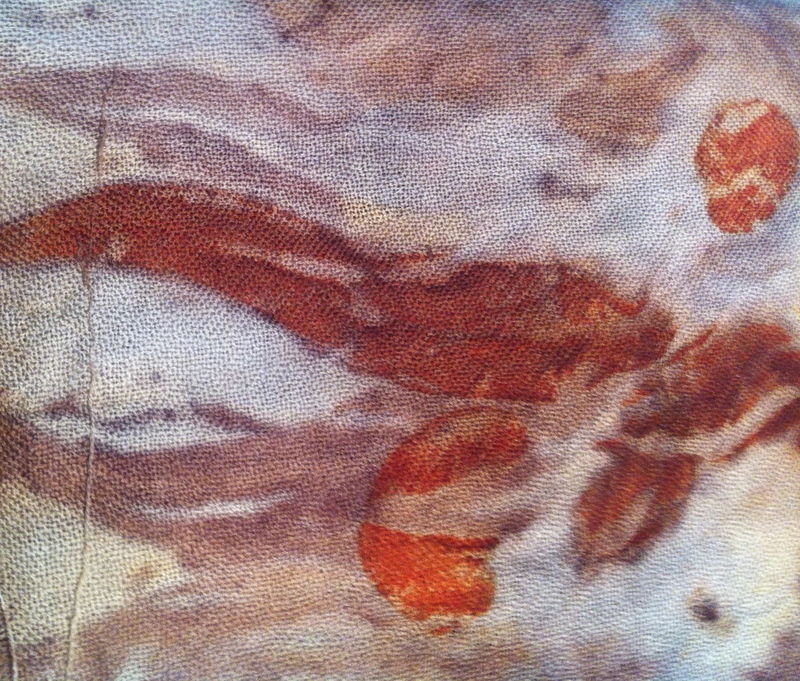 Ilyarrie leaves on silk with a small amount of iron water. 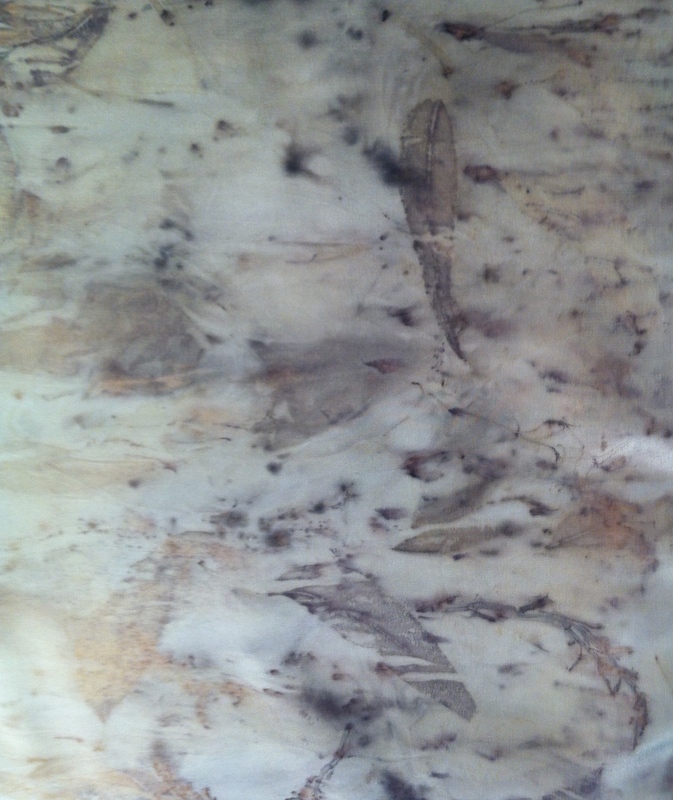 Iron sprayed Ilyarrie leaves on silk with a sprig of lavender . 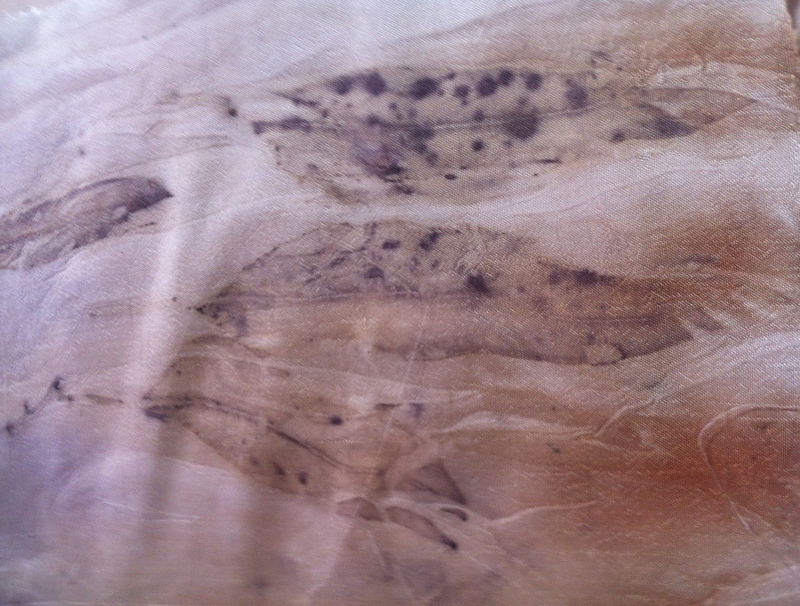 Hitherto undyed cotton sprayed with iron with leaves and lavender bound tightly into it. 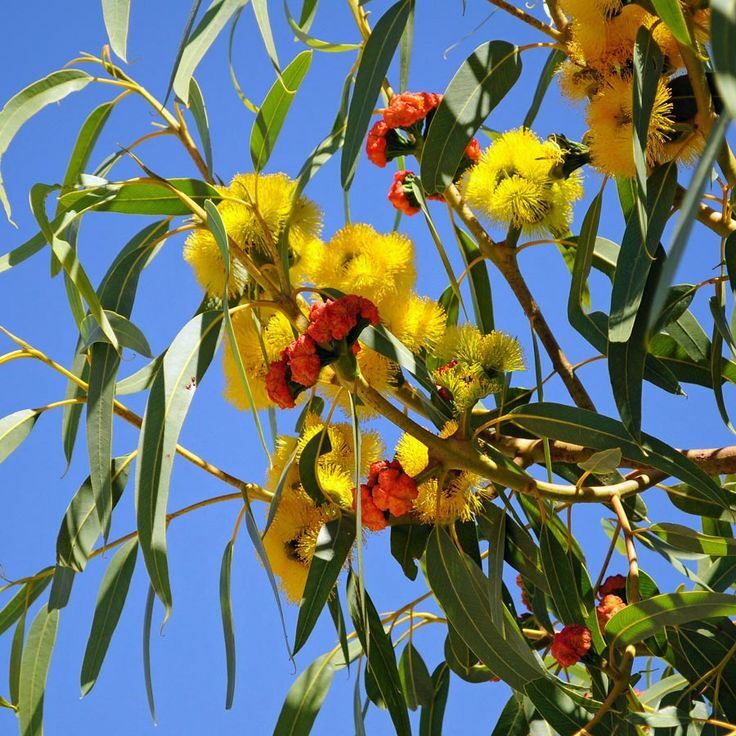 Gotta go and unwrap another group of bundles now and walk up the street to a small park where there are a lot of Geraldton Wax plants that need trimming! I really like these too. You mentioned the iron water being strong – I wonder what you would get if you soaked the leaves in the iron water for a day or so and then bound them in the bundle – ie not spraying with iron water. I’m thinking you might get a “local” reaction within the leaf shapes. Getting right onto that now Liz! Thanks for the suggestion! 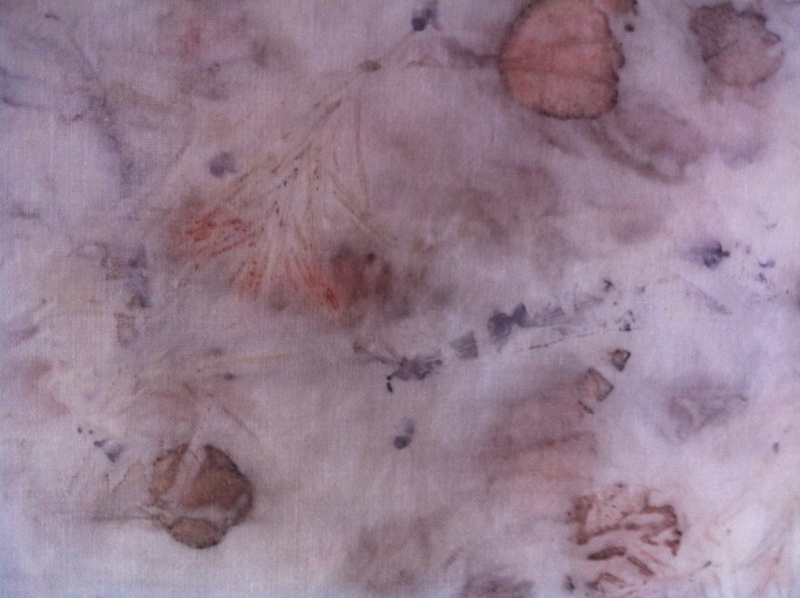 BTW, your dried rose coloured tea bags made lovely rosy marks on the cloth which turned bluey purple on washing with Dynamo in the washing machine. A pH thing no doubt. They’re also quite pale so I’ll look at how to strengthen their colour, perhaps using some vinegar next time and some silk and wool rather than cotton. You are getting some wonderful results. Is there artwork planned? Steady on! One baby step at a time for me!